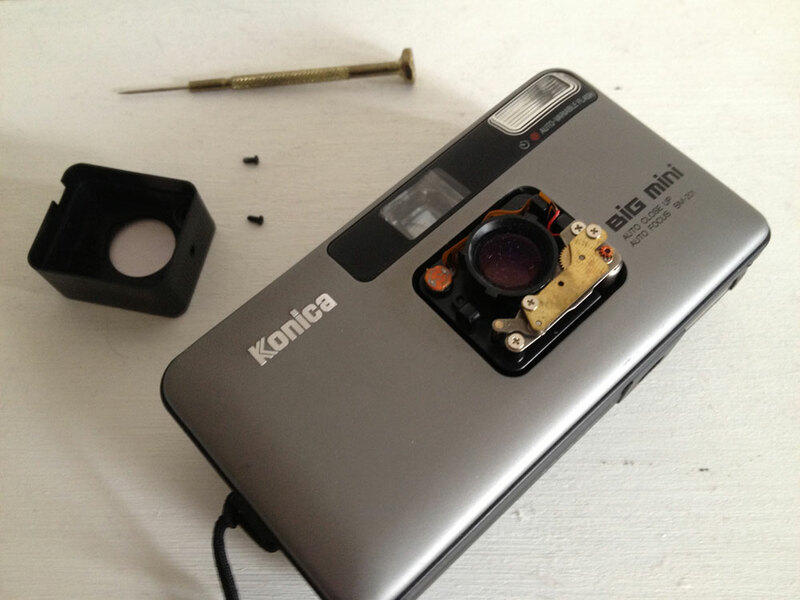 Here is how I repaired my Voigtlander Nokton lens, the 42.5mm for the M43 system. I had dropped it. The lens filter, a B&W ultraviolet model, was shattered, and, worse, stuck on. I am sure that what I did is not recommended. I share for what it is worth. The peril of carrying two cameras is juggling them. I had dropped the digital while fumbling with the analog. I didn’t notice until later that I had cracked the lens filter. Since it also was dented, that meant among my tasks for the day, my first after arriving in Shenzhen, China, was to locate a pair of pliers. I am astonished at the image quality on the frames after the accident. My shots are still useable by my standards. I was not sure the lens itself was undamaged, but to the naked eye it looked as if it was still good. It is my favorite, for the wide aperture of f/0.95 and the color rendition. But no matter what I did, I could not remove the lens filter. The initial task was purchasing pliers. I had to translate the term. The internet made that easy enough. It also provided pictures. But China has developed, which means, alas, consumers treat products as disposable. As my guide explained, people don’t use pliers much anymore, because they don’t bother to fix things. We wandered around a shopping district too fancy to have hardware stores. We eventually found a supermarket with a modest selection of tools, and, among them, heavy-duty pliers for under $1. The pliers turned out to be more robust than the lens filter. 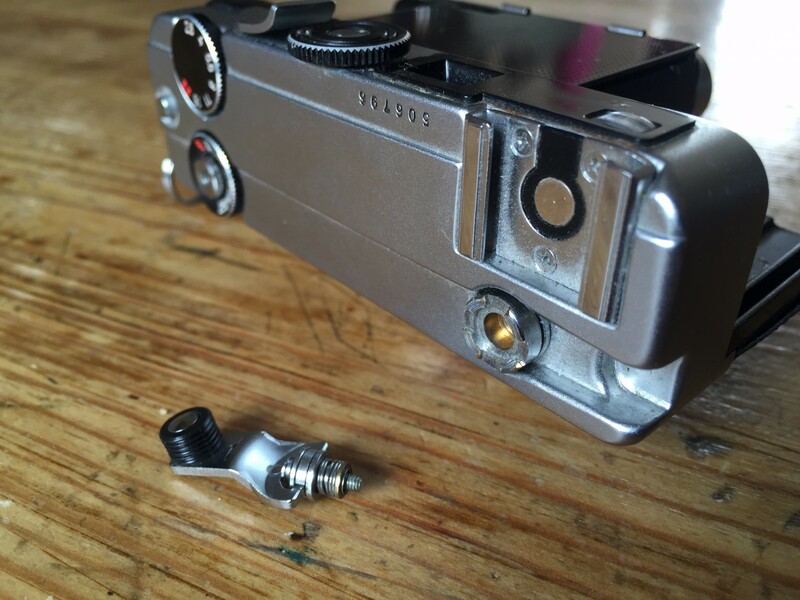 I had the presence of mind to remove the lens from the camera body, to avoid somehow harming the mount with my violent exertions. All I succeeded in doing was prying off bits of the metal perimeter. I realized at the rate I was going, there wouldn’t be much left to grip. I had to try another tactic. I had an idea. A digression. My father was a handyman. He earned a doctorate in mechanical engineering. He worked in the auto industry his whole career. He was always tinkering with stuff around the house. My wife scoffed at me. Her late aunt, who made it to ninety-nine years, used to call me a handyman. My wife was right that I could not live up to the title, as much as I was honored. I changed the lightbulbs when we visited. I also moved the clocks forward or backward as needed, for daylight savings time. Perhaps the trick with my lens filter establishes my bona fides. Or at least it remedied a specific problem. Here is what I did. I turned over the pliers. They had rubber coated handles. I gently tapped on the filter. The surface was already so compromised that bits of glass had fallen in. It was easier than I anticipated to break through altogether; the challenge was avoiding hitting the lens itself. I believe I succeeded, though I suppose I should take a loupe and check out the front element. Reviews customarily describe the lens as “built like a tank.” I can attest that it is sturdier than a lens filter. Then I could gain greater purchase on the thread. I had the right idea. But there was an even better approach. Once I was holding onto a thin ring of metal, sans the interior circle of glass, the former could be crumpled and peeled away from the threading of the lens. Although I’ve used the Incredible Hulk method of removing messed-up filters in the past, I’ve found a better and readily available method of doing this. Since most shoe soles are of a “Gum Rubber” or synthetic composition today, I just take off my shoe, turn it sole side up, firmly press the filter and lens into the sole and turn. You can generate a tremendous amount of torque to the stuck filter especially if you’re holding the shoe between your legs. Given that the outer edge of a filter is serrated it’ll dig-in to the filter without slipping. Since I discovered this trick about 50 years ago, I haven’t had any problems with stubborn/stuck filters. Frank another stuck filter removal method which may or may not have worked with your damaged filter is to make a “gentle” filter wrench. You get a strip of hard blue plastic tape that is used to bind parcels or hold fibreglass insulation under a floor. Then wrap the tape around the perimeter of the stuck filter. Use your long pointed pliers to hold the 2 ends of the tape together close to the filter perimeter (perpendicular to the outside of the filter). 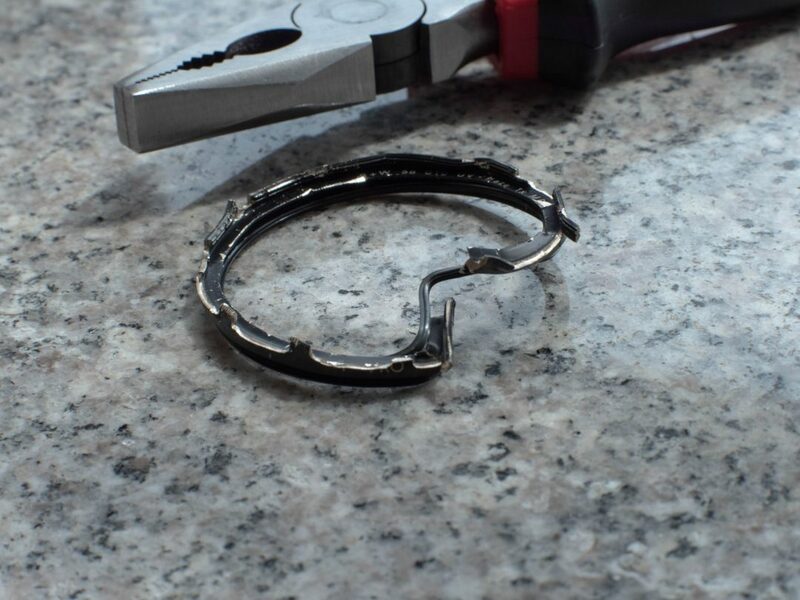 Roll your pliers anticlockwise around the perimeter while still holding the tape which will tighten onto the filter and usually easily undo the filter. This is the same principle as a strap wrench used to undo an oil filter in a car. This way it is usually best to leave the lens on the camera which you hold onto. This method is especially good for removing stuck polarising filters which can turn without undoing. To help prevent filters sticking, before attaching to a lens, use an HB or B pencil to “draw” around the filter thread a few times, which will rub graphite as a dry lube into the threads. Small pointed pliers and a few inches of blue tape plus a pencil, as well as a $3 set of jeweller’s screwdrivers are among part of my travel tool kit. 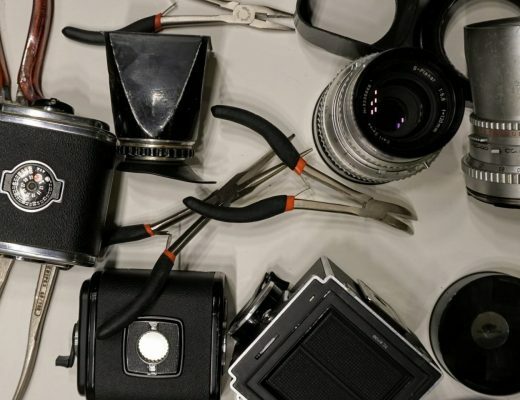 In your case its likely the filter helped save the lens. Gentlemen—your suggestions are excellent (I especially like the shoe sole trick!) but those are for moderately stuck filters, with overtightened or seized threads. A damaged filter with a bent rim can be a different matter entirely—the bend has pinched & locked the threads and if you unscrew it by force you can strip out the lens threads completely. Frank did the right thing.